Nobody wants to spend more than they have to, but many people believe in the old saying "Buy cheap, buy twice." There are few technology items that can cause more inner conflict than HDMI cables. If you go shopping online for a 6' cable, you'll find that you can spend anywhere from $1 to more than $100 for an HDMI cable. That spread is enough to leave any consumer wondering whether the cheap cable will work, or if the expensive cable is worth it. In this follow-up to a previous post, How Much Do You Really Know About Your HDMI Cables?, I will explain some of the variations of HDMI cables that you will encounter. And I'll tell you what you need to know in order to get the right cable at the right price. The first place to start is the fact that not all HDMI cables are the same. Some are actually more capable than others. You can find more details at the HDMI Licensing website, but here are the main points you should know. 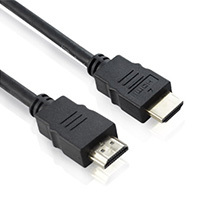 HDMI Standard Ethernet: This cable also is designed to handle 720p or 1080i signals, but it also provides a wired Ethernet local network connection in the same cable. HDMI HighSpeed: Newer cables are designed to handle more data at a time. These are intended for 1080p and other signals that can require even more throughput, such as 3DTV and 4K resolution images. HDMI HighSpeed Ethernet:This cable has the same high speed capabilities, but adds the Ethernet support. HDMI Standard Automotive: This cable has the same 720p/1080i capability as the normal Standard cable, but it is designed for internal wiring applications in cars. 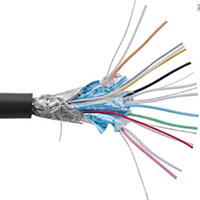 The inside of a car can have a lot of electrical interference and cables are often routed in tight bundles, so this cable is designed to carry a stronger signal. Let's start by narrowing the field. We've already determined that most users won't need a Standard Automotive cable. As far as I know, there are no products on the market yet that support Ethernet over HDMI. There may be some by the end of this year, but it will be quite a while before most consumers will have two components that support this feature. So you probably won't need any of the Ethernet versions at this time. That leaves us with just two choices: Standard or High Speed. There are a couple parts to making this decision. The first part is to understand how the HDMI signal works. With an analog signal — such as the typical stereo speaker cables — if the signal is degraded when traveling through the cable, you can hear a noticeable difference in the volume and fidelity of the sound. With a digital signal, it's more of a pass/fail situation. Either the bits get through reliably, or they don't. If they do, you get a perfect picture (or more precisely, you have a perfect signal for the display to use). If bits get lost, you'll get a blotchy image that breaks up, or you may get no image at all. The fact is that most Standard cables will work just fine at 1080p and even with 3D signals. So if every dollar matters, then buy the cheapest HDMI cable you can find and try it. If it works, it will work just as well as a cable that cost 10 times as much. If it doesn't, then you can just buy a more expensive one. The other part of the decision is to consider the fact that HDMI cable prices have plummeted in recent years. You can find cables that list for over $100 available online for less than $30. You can find 6' High Speed HDMI cables for as little $4 online. With prices this low, the savings between a Standard and High Speed HDMI cable is not much. In the end, my choice would be to spend a few extra dollars and buy inexpensive High Speed HDMI cables. You'll know that they will support all the latest HDMI features, which means that you'll get the best performance from your home entertainment equipment even if you should upgrade one or more components in the next few years.